Shop and save! Apply promo code at checkout. 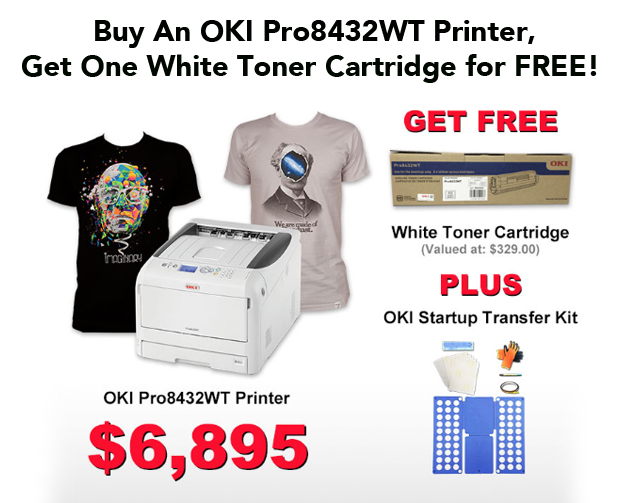 Get one FREE white toner cartridge (valued at $329.00), plus receive an OKI startup kit when you buy an OKI Pro8432WT CMYW LED transfer printer. On sale for $6,895 for a limited time! Offer expires 1/17/2019 or while supplies last.